The Grinch is back and this time it's Animated! Can't wait. The boys will love it.. I hope. With this in mind The Grinch crafts and eats are going to all the rave this Christmas. So I went on the search for some fun kids crafts and treats kids can make. Here they are. 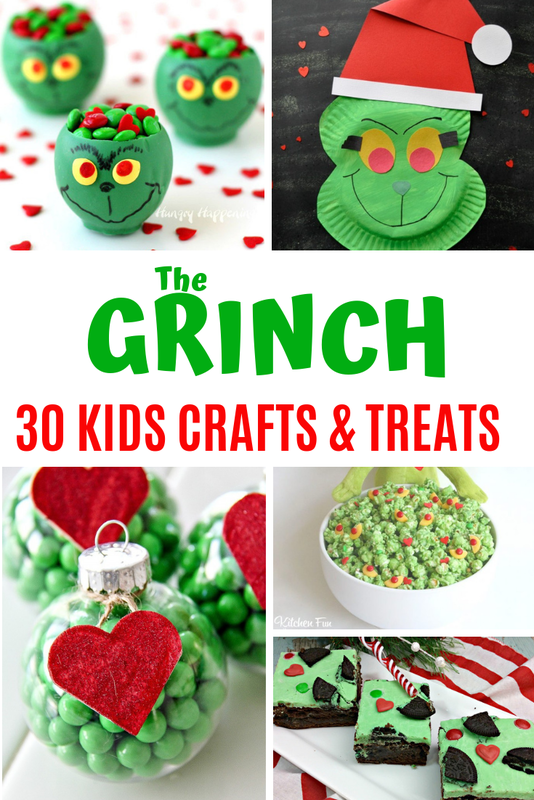 We start with 15 craft ideas followed by 15 Grinch food ideas. You've got to love this bauble inspired by The Grinch. Your kids will love it. Say no more, the boys love slime. Make it here at growingajeweledrose.com. 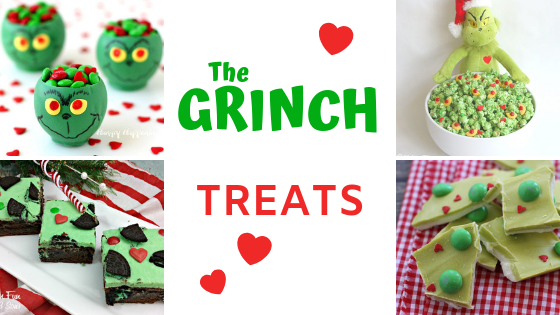 Yummy Grinch inspired treats and eats! Here are our favorite 15 we found. We hope you were inspired to make some of these Grinch crafts or treats this Christmas. We will certainly be making some after we head out to watch the new movie next week. Let us know what your favorite one is!